Taking the beard out of beer! : Me, Me, Me! Firstly though, ploughing boldly on, a friend showed me something particularly terrifying yesterday in the pub, and once he'd put that away he also pointed out that my book is available to pre-order on Amazon!!! Whoooop! Guess I'd better get a wiggle on and finish it then! Ludlow Spring Festival kicks it all off on the weekend of May 7-8, I'll be doing a tutored beer & food matching using brews from all over the SIBA Wales & West region, and pairing it with local produce - after which I'll be heading off to Otley to brew our long-anticipated elderflower and gooseberry IPA! I'll be a busy girl at the Bury St Edmunds Real Beer & Food Festival - I'm doing about six talks with Greene King over two days (phew! just tired thinking about it) - and I'll be competing to outshine the lovely Henry Chevallier from Aspall Cyder too, bring it on! On June 19 I'll be at Cheltenham Food & Drink Festival, which I'm really looking forward to, it looks lovely, and it'll be nice to see Galton Blackiston again, I thought he was lovely when I did Market Kitchen with him a few years ago. 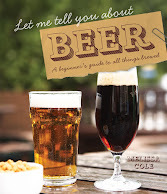 Then June 27 I'll be presenting to deli and food shop owners at Harrogate for the Guild of Fine Foods, something more of a trade show than a consumer one - BUT if you'd like your local shopkeeper to stock more great beer but are having trouble persuading them then this could be a good thing for them to come to!